The Cypriot Final was held on February 1st at the PIK TV Studios in Nicosia, hosted by Antri Karontini. Before the final there were 8 shows - click here for details: CYPRIOT SHOWS 2015 The winner was chosen by an "expert" jury (50%) and televoting (50%) which ran from January 23rd-February 1st. 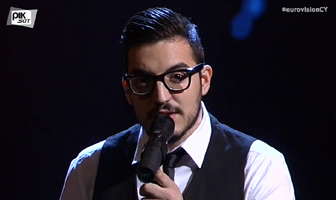 Giannis Karagiannis came 22nd at the ESC.